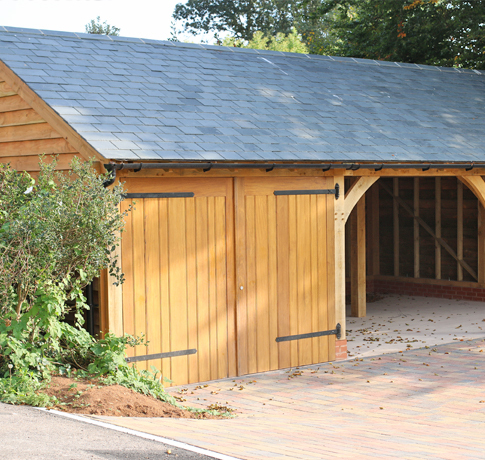 Oak grows slowly and has a very light grain which makes its wood extremely strong and ideal for the construction of traditional oak framed buildings, furniture and flooring. The term 'Oak' is used as a common term to describe several hundred species of related trees located throughout the Northern Hemisphere. 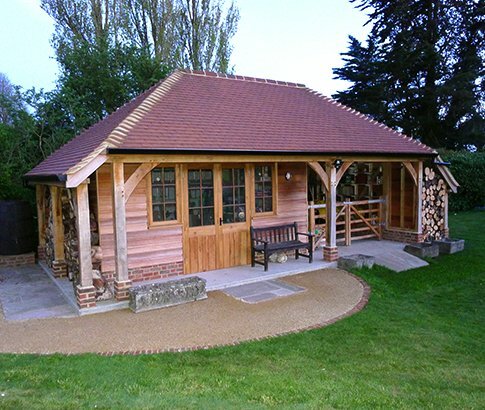 Oak contracts as it dries making the traditional carpentry methods that Acorn employ highly effective because the oak building's joints will strengthen as the building dries and matures. Due to it's attractive grain, Oak was used for interior panelling as well as in the structural frame. Oak is still highly prized for it's appearance today and is used as a veneer on furniture and flooring. for making wine barrels as the aroma of wood contributes to the taste and bouquet of the wine. Wine producers use woods from all over Europe and America to create different tastes. Here at Acorn, we use Green Oak which originates from controlled, sustainable forests where two trees are planted for every one cut down. The materials used and the building process is all environmentally friendly.